The coast of South Carolina is fringed by a series of low islands covered with glistening white sands, forming little hills that shift with the varying winds. 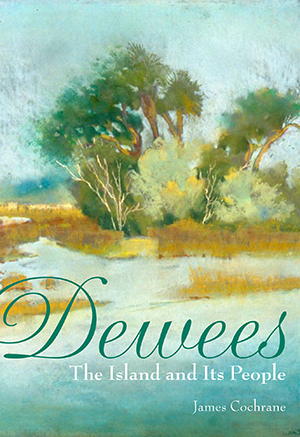 Dewees is one such windswept retreat—and author James Cochrane lovingly traces its history in Dewees: The Island and Its People. Page through Dewees's intriguing history as the island withstands the peril of British invasion during the American Revolution and revels in its modern-day incarnation as a nature preserve. Without automobiles, without a golf course, without inns, restaurants or malls, without a bridge, Dewees Island is like a drop of amber, capturing the treasures of the past and the wonders of nature for all to view. Cochrane is a retired attorney who has chosen to live on Dewees Island, where he is considered the unofficial island historian. As a member of the Dewees Island Property Owners Association, as well as the chairman of its Archives Committee, Cochrane keeps involved with the island community. He has previously self-published By the People: A History of the Kingsport Public Library.